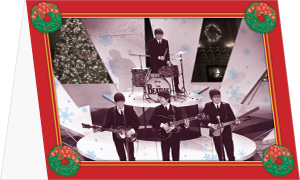 Check out the faces of the Beatles on our 2014 Christmas Card. Quality is assured through accurate proofing and quality printing. Price will be competitive and you will always receive a written estimate. Deliveries will be timely to meet your requirements. With SPG you don’t have to choose. You get all three! Our goal is to help you succeed; therefore our focus is on you! We believe in customer service. We believe in clear and regular communication on the timing and specifications of your print requirements. We believe in setting and meeting your expectations and creating for you a postive print buying experience. And that is How We Do It. If you haven’t already, we hope that in the very near future you will Put Us to Work for You!